The holidays are winding down – at least in my part of the world! And it is back to school and to reality for you and the children too. Did I hear a sigh of relief from a Mom? The end of summer is usually a bitter sweet time. Sweet because you no longer have to spend all your time trying to ensure the kids are comfortable and having a nice time. And bitter because it’s now time to begin waking early, school runs, planning school lunch and all the regular stuff. Whether bitter or sweet, it’s almost here. If your child will be starting Kindergarten or nursery School, this post here will help you to get your child ready. New school? Our Next Post will focus on helping your child make the necessary adjustments to a New School. So, how can you help your child adjust well and ease back to school after the long holiday? Start The Prep Talk: Tune your child’s mind back to school by talking about school and school work. It helps your child to shift focus gradually from all the play and fun of the holidays to the reality that school is around the corner. In your prep talk, you may also want to get them motivated by talking about the extra curricular activities in school. Even if the school talk doesn’t get them interested, the fun activities should. Get Yourself Organised Well In Advance: If there’s one thing I particularly do not like, it’s been caught unawares. I usually like to get myself planned well in advance for anything, and school especially. I plan school supplies, School meals, Study Time, Extra Curricular Activities and all that, well in advance. I don’t like to run around trying to get something needed in school a day to the event. Plan well in advance – even Mommies need Back To School Adjustment. You can also sign up for our 60-Minute Create a Plan Session Here. Reintroduce Normal Routines at least 2 weeks To School Resumption: Get Your Child back to regular school time routines such as Meal Times, Bed Time, Study Time and so on. This will soften the shock of the drastic change from the laxity of the summer holidays to the seriousness of the regimented school time routine. Set Goals For The New School Year With Your Child: Getting your child’s involvement about the expectations for the new school year will do two things for them. First, it will ensure that they feel a sense of seriousness about school and also it will help them to assume ownership of those goals. It’s a wonderful thing to set expectations at the beginning of the school year. That will keep them focused and steamline all their activities into ensuring that those goals are attained. If you need help setting goals with your child you can check out our post on Goals Setting With Kids Here. Prepare Your Kids Prayerfully: Start to Pray for the New School Year With Your kids. Pray about everything. You can sign up for our FREE Moms Back To School Prayers Here. Prepare yourself Mentally: Now is time to begin to prepare yourself as Mommy too. Start to put yourself back into School term mood, especially for Stay at Home Moms. The transition always takes its toll but when we help our kids and ourselves, it becomes easier for us to cope. In our next post, we discuss How To Help Your Child Cope In A New School. 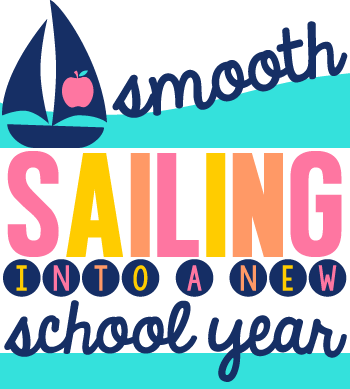 What do you usually do to hel your child transition well into a new school year? Will you like to sign up for our 60-Minute Create A Back To School Plan? This will help you to be prepared for the school year, get rid of the overwhelm and learn how to be on top of your Mom Game like a Boss. CLICK HERE to learn more.